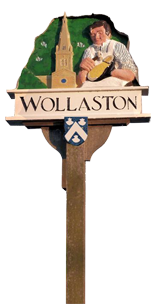 Following consultations in the County regarding the provision of libraries, it is almost certain that Wollaston library will fall outside of Northamptonshire County Council's statutory remit. The Friends of Wollaston Library are keen to keep the library open and are looking to community manage the facility. This can only happen if there are volunteers from the community willing to help for 1-2 hours per week. Volunteers are required immediately - the County Council are unable to provide enough staffing levels at present to keep the library open for the hours advertised. If you are interested in volunteering, pop into the library and speak to staff or existing volunteers to see what is involved.